Choose Your Pup specialise in the breeding of purebred Kelpie & Heeler pups. They produce intelligent dogs which can be raised to work a range of livestock under a range of Australian conditions. Apart from use as working dogs, Kelpies and Heelers make great family pets. They can be trained to take part in agility and obedience competitions and Heelers, in particular, make great guard dogs. 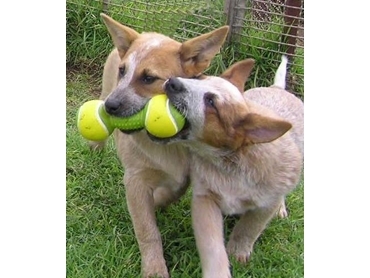 Choose your Pup’s Kelpie and Heeler kennels are located on a farm in healthy dryland South Australia. They have a broad range of breeding types and do not in-breed their dogs. Kelpies and Heelers are bred for brains and for adaptability. Kelpies and Heelers are bred for stamina, durability and toughness. They have a sensible shape and structure, without oddities. They are built to perform physically and mentally, with great endurance. Bred for easy-care, low-maintenance, minimal moulting coat, not prone to grass seed problems, yet able to withstand extremes of temperatures. These dogs instinctively display loyalty and devotion. Choose your Pup believe these dogs are equal to any breed when it comes to affection and playfulness.